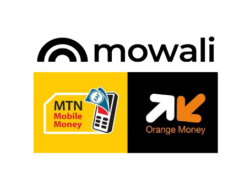 Interoperable payments are now possible across Africa as the continent’s largest mobile operators and mobile money providers, Orange Group and MTN group announced their joint venture, Mowali. Interoperability levels between digital financial service providers are now beyond the levels of which MTN’s and Orange’s operations and markets could individually achieve, enabling the support of 338 million mobile money accounts in Africa while connecting financial service providers and customers in one inclusive network. This has resulted in the ability to immediately transfer money between mobile money accounts at a low cost. Greater usage of mobile money by clients is the objective of Mowali while enabling circulation of money between mobile money accounts in all countries, irrelevant of the operators, resulting in a universal means of payment. Through the use of digital technology, Mowali increases financial inclusion which is vital for the economic development of Africa. This solution exemplifies the determination of Orange to lead the digital transformation market while simultaneously fulfilling MTN’s goal to increase the use of mobile financial services in Africa. Given the positive effects on interoperability, financial inclusion and the use of mobile money, this initiative has gained the support of the GSMA. “With Mowali, Orange and MTN deliver a solution that will enable them and other companies to scale digital financial services across Africa faster to everyone including the poor. This is a signal that a new wave of innovation which can help alleviate poverty and drive economic opportunity is coming,” said Kosta Peric, Deputy Director of Financial Services for the Poor, at the Bill & Melinda Gates Foundation.